← Thursday, January 14, 2016 – Me and My Life as told by Kris Kristofferson Songs. Friday, January 15, 2016 – The Case of the Tie Me Kangaroo Down Sport – College Football and Kangaroos. The University of Akron mascot, Zippy Kangaroo University of Akron official website. And now to our group projects. Who wants to go first? I do. If you read the comments on the actual HWIT site, Reggie Reader commented on the January 6, 2016 HWIT and presented a puzzle about college football and kangaroos. Dear Reggie Reader, I believe I have cracked The Case of Tie Me Kangaroo Down Sport. Like all school projects, I did not have any help from my friends, Bess or George (the manly looking George whose real name was Georgia– what was that all about?) or that worthless boyfriend of mine, Ned. I had to do the project all by myself. The MAIN clue (I so amuse myself) is The Old Main Building on the Sam Houston State University campus that burned on February 12, 1982. If these responses are incorrect, then I think it was Colonel Mustard in the library with the lead pipe. 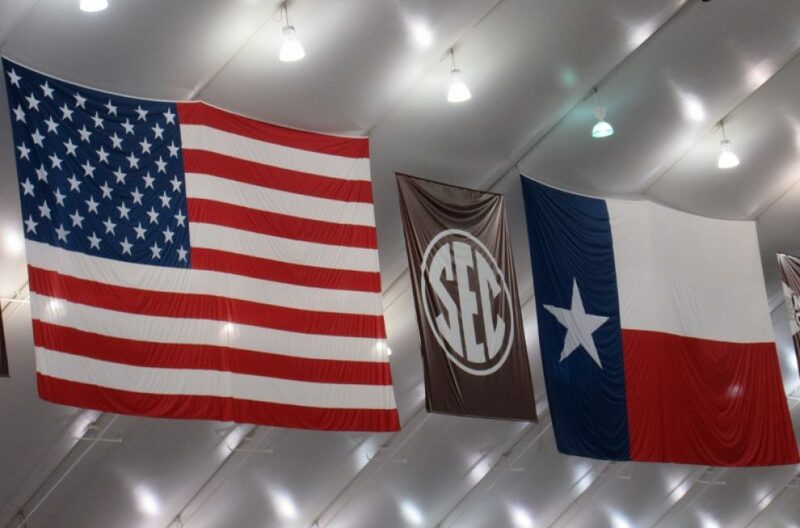 “Dear Madam Rose……… Now that most bowl games are behind us…….until 1/11 that is…… here are a series of bowl related puzzlers to ponder while waiting for the Ags to select a QB and/or OC. The Potato Bowl (or Potatoe Bowl if you are Dan Quayle), Head Coach for The University of Akron, Terry Bowden. A different Div1 bowl team’s head coach has kangaroos on his résumé……..as well as the Hall of Fame. Can you name the coach? Hall of Fame Coach Bill Snyder currently Head Coach at Kansas State served as Offensive Coordinator at Austin College from 1974 to1975. Yet another Div 1 bowl team, in a record tying victory, utilized a QB who is a member of a kangaroo family. Can you name the team & QB ? Former head coach at The Ohio State University, Jim Tressell, (2000-2010) played quarterback for The University of Akron from 1975-1978. The mascot for The University of Akron is Zippy the Kangaroo. I did, Reader Reggie – You son of a preacher man! A Presbyterian one if I recall. From the Austin College website – Austin College opened in Huntsville, Texas and admitted its first class in the fall of 1850. Its original building still stands in Huntsville. From the Sam Houston State University website – The university’s original three buildings were: Austin, Main, and Peabody. Fever epidemics, the Civil War, and difficult economic conditions prompted the College’s relocation to north Texas. Austin College moved to Sherman, a more promising area, in 1876. When The Old Main Building on the Sam Houston campus burned, efforts to save that building switched to save The Austin Building one of the original buildings of what was called Austin College. The head football coach for Austin College in Sherman, Texas is Loren Dawson who played for Austin College before transferring to Arizona State University where he graduated with both Bachelors and Masters Degrees. Coach Dawson returned and served as Defensive Coordinator at Austin College before becoming head coach. The mascot of the liberal arts focused and Presbyterian supported college is Katy the Kangaroo. Reader Reggie, is there a prize? Thanks for the challenge. I should make an A, but not Bess, George or Ned. This entry was posted in College Football, Education, Native Texan and tagged Austin College, Bill Snyder, Jim Tressell, Kansas State University, Loren Dawson, Sam Houston State University, Terry Bowden, The Ohio State University, University of Akron, Zippy Kangaroo. Bookmark the permalink. Your diligent research must be commended…………even if it produced a few wrong answers. You took the hint and headed down the right trail leading to Austin College whose mascot is indeed a Kangaroo. The correct answer to Question # 1 is UNC coach Larry Fedora who played his college football at Austin College and is thus a lifelong Kangaroo. Thanks for informing us that his brother coaches the Navasota Rattlers…….didn’t know that. You get an A+ for correctly identifying Bill Snyder in your answer to Question #2. You get a pass on Question #3, because the correct answer was pretty, if not totally, obscure. TCU’s record tying comeback win was engineered by fifth year senior QB Bram Kohlhausen. Bram’s father, who passed away in November, was a member of the Austin College Kangaroo golf team and graduated in 1962, which makes Bram a Kangaroo family member…..and a heckuva backup QB !! That’s about enough Kangaroo trivia for now. Have a great weekend ! Memories and tales from dark side – scoring assessments – Q1 – loophole – did not say lifelong, or graduate from. Therefore, both answers could be counted as correct and should be scored as a 2 or a pass. Lee will be mortified I did not know that about Larry. Q2 should be scored as you have – 3 – excellent. Q3 should be scored as a 2 as pass. Off to hop around on the golf course – need to come play A Sound soon. Have a great weekend.